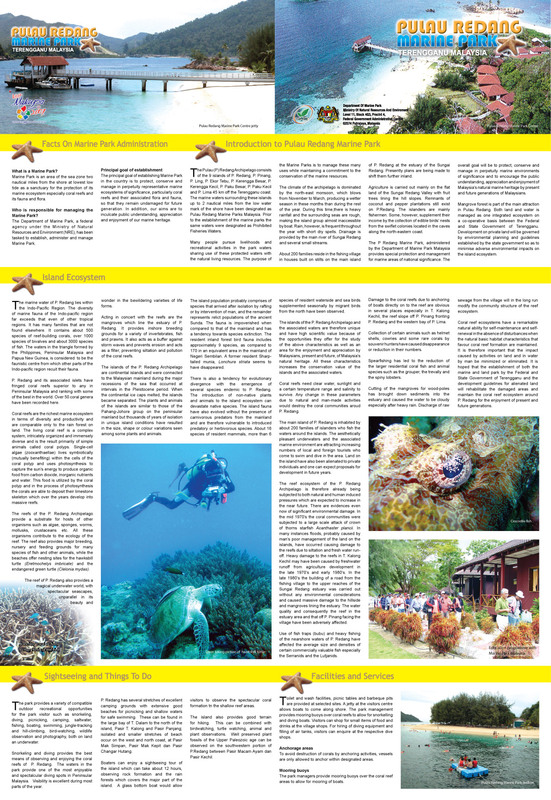 Redang is synonymous with its white powdery beach, crystal clear waters and a sea filled with the tropical fish that inhabits beautiful coral reefs. 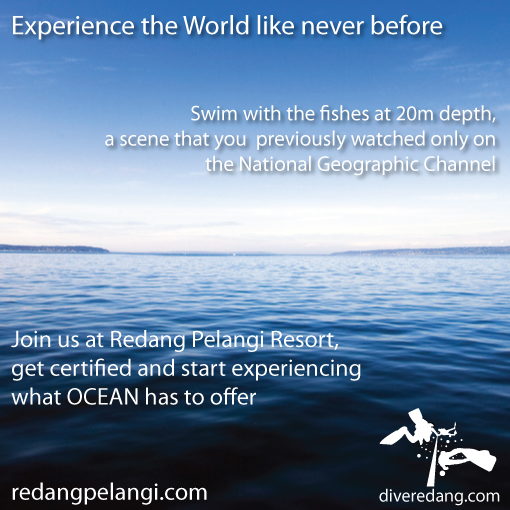 Once you step on Redang you would realise why this undiscovered paradise is visited by thousands of guests each year. For the most of our guests, snorkelling is their main activity while on the island, but for divers, it is a totally different world. 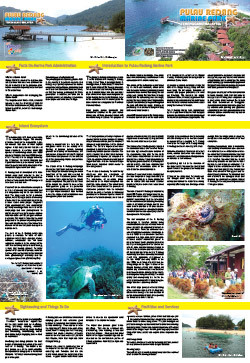 Redang have over 20+ interesting dive sites, with the latest discovery (2 ship wrecks) being discovered just 2 days ago (11 April 2010). 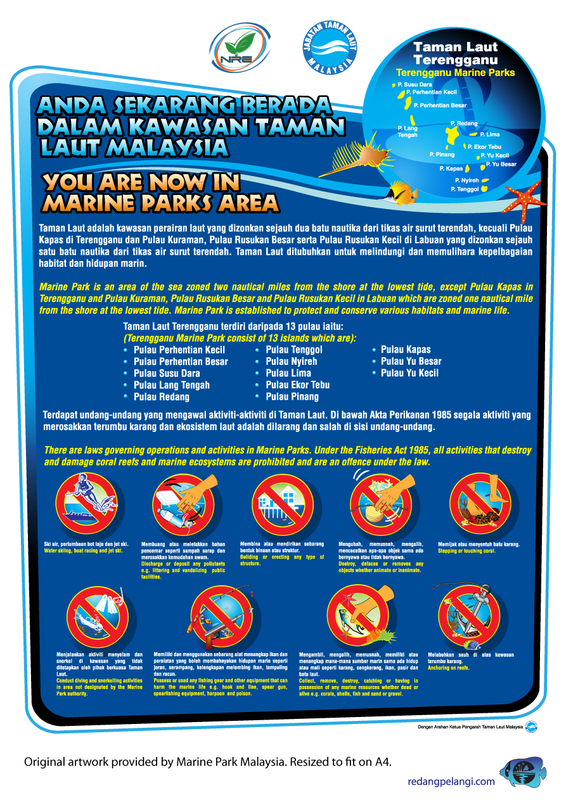 We are constantly on a look out for new dive sites, with our newest addition, the Unjang Dive. 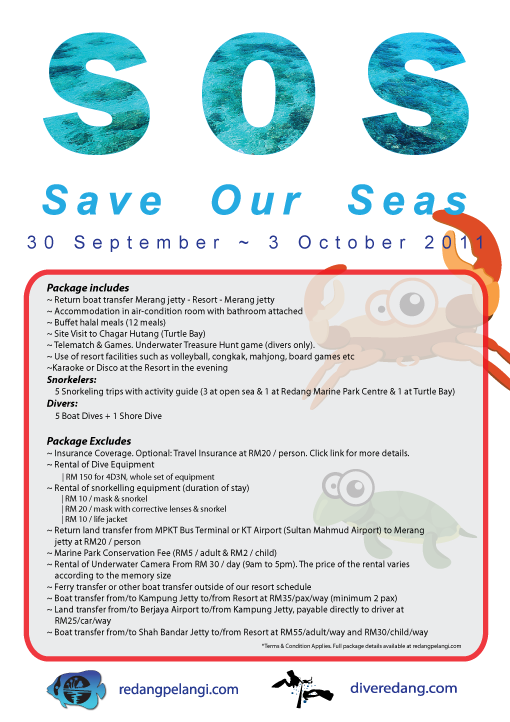 As of the 2011 Season, we realised that the 2 ship wrecks have been destroy by trawler boats during the monsoon seasons. Part of the boat can still be seen but broken. The scene looks like a crash site, with debris scattering across a large area. 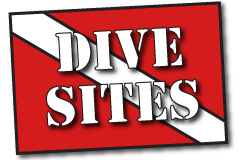 Please feel free to view the listed dive sites here. 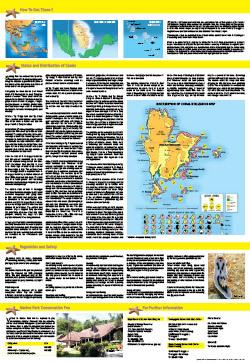 Please click on image above to view Image in PDF format. Has it been a year again? 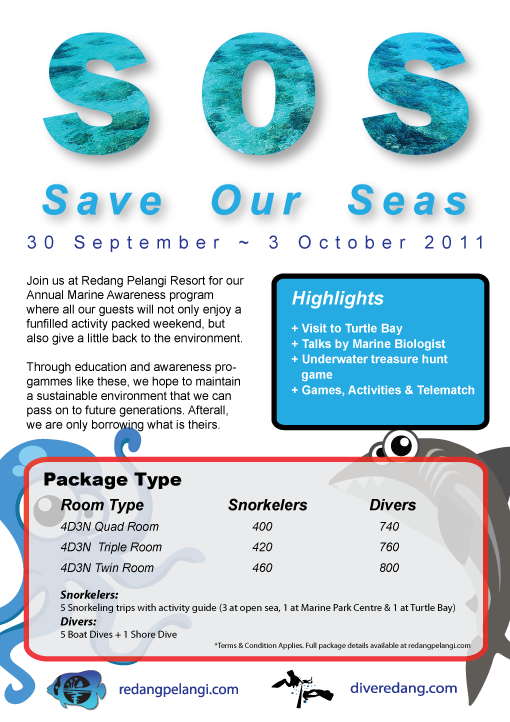 We at Redang Pelangi and Dive Redang will be organising our Annual Marine Awareness weekend. As usual, it will be jam packed with activities as well as talks experts in the field. One of the highlight would be the visit to Turtle Bay, which is normally not opened to public. 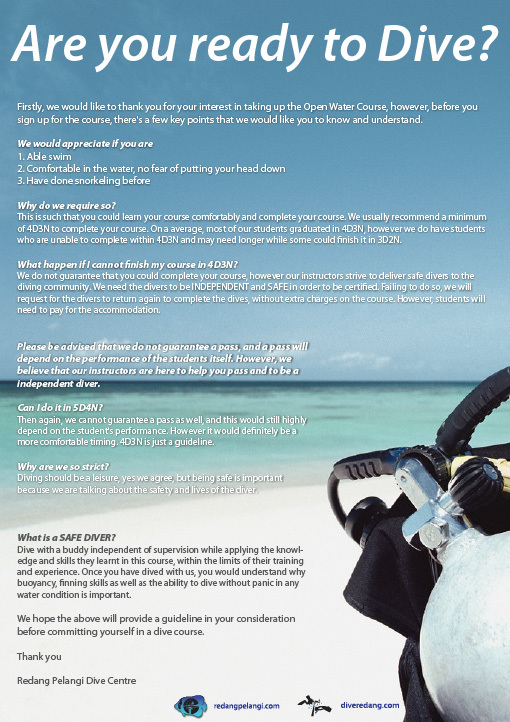 Whether you are a diver or snorkeller it is our duty to better understand the environment. With a better understanding, we could all help conserve the World, leaving sustainable place for future generations.